There are 3 desktop wallpapers listed below. The files are sorted by number of comments posted, beginning with the most talked about content. You can join the discussion by clicking on the "Add Comments" link next to any wallpaper. 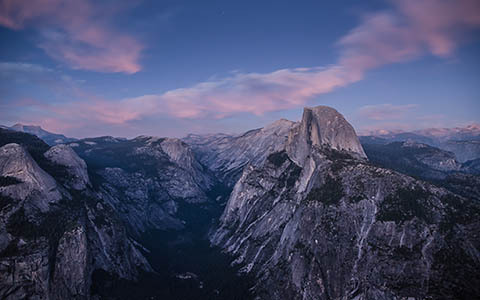 A long exposure view of Half Dome from Glacier Point (the same point of view used on the California state quarter). I love how surreal long exposures can be and this evening brought us some deep colors late in the evening. It was actually dark enough that we needed flashlights to walk safely. Nikon D80, Nikon AF-S DX Zoom-NIKKOR 18-70mm f/3.5-4.5G IF-ED. Photo Settings: 18mm, f/4, 30 seconds, ISO 100. 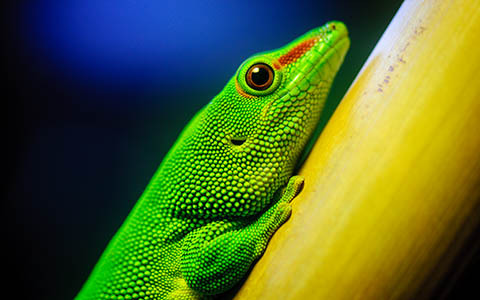 A lizard in the rain forest exhibit at the California Academy of Sciences in San Francisco, California. Adobe Lightroom 4.3. Per the instructions of the staff, no flash was used. 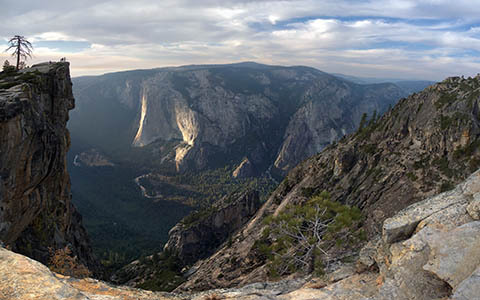 The glorious Yosemite National Park, with Taft Point promontory on the left, the Merced River below, and the sunlit cliffs of El Capitan in the distance. Handheld and stitched/processed with Autopano Pro x64.